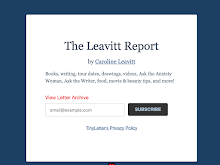 CAROLINELEAVITTVILLE: The Best Book you Haven't Read YET! Being sick is no fun. I was up all last night and rather than feel sorry for myself, I picked up my friend Clea Simon's latest " just-completed-and-no-publishing-home-yet" manuscript, Shades of Grey. I loved, loved loved the book. 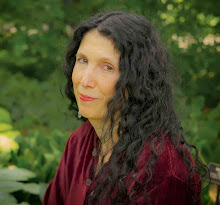 One of the things I always tell my UCLA students and clients is that in order for your novel to live, you've got to have great, living, breathing characters. Plot alone won't do it. So, with that in mind, let's talk about Dulcie. Dulcie's the kind of character you want for your best friend. She's writing her literature thesis at Harvard and working at one of those corporate nightmare temp jobs we've all had (or at least, I've had. I reminded me so much of my stint at Columbia House that I was gleefully cringing. She wears overdyed black t-shirts and Indian skirts (we love her for that), yearns for her recently departed cat, and finds her roommate's body in the apartment. Who dun it and why? And why are subtly supernatural things going on, like possible warnings from her beloved cat, weird computer malfunctions, and in one of the most inspired moments, a very freaked-out fish? Is she going crazy? What's so wonderful about this novel is that Clea gets ALL the details right--and rich. Cambridge is palpable. Office politics, school, and living on less money that you should have. All pitched perfectly. But the mystery, too, kept my flu at bay and kept me turning pages until four in the morning. Truly. I never had a clue who the culprit was and so I got that delicious intake of breath when I was surprised. The book is funny and smart and so knowing about literature--really, really impressively wonderful. Wait for it to be snapped up. Then you'll see, too.